iPhone buying guide: Should you buy an iPhone SE, a 6s Plus, or wait for the next one? The new iPhone SE adds to Apple's growing product line, which adds another choice to the mix. Here's our handy guide to help how you choose the best iPhone for you. 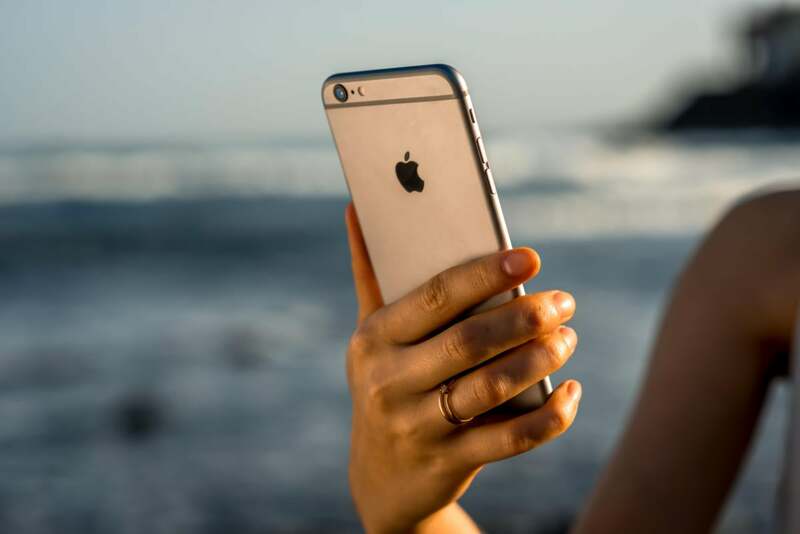 Once upon a time, choosing the best iPhone was easy: Apple made sure that the iPhone got slightly better with each upgrade cycle, so you couldn’t really go wrong with simply choosing the latest model. With Apple’s announcement of the new 4-inch iPhone SE this week, however, the iPhone is no longer one-size-fits-all—we have five (five!) models to choose from, and three of them pack Apple’s latest and greatest features. But more options could potentially bring about more confusion. Which iPhone is right for you? Let’s break it down. Apple’s most expensive iPhone is certainly the best smartphone money can buy if you like screen real estate, but this premium phablet is not for everyone. The 5.5-inch iPhone 6s Plus won’t go unnoticed, especially with its glorious 1920x1080-pixel resolution. This device is perfect for people who love playing games or watching videos on their iPhone. The iPhone 6s Plus can even replace an iPad in some cases, especially if you’d rather leave your larger device at home. Just be careful if you have small hands—navigating around the touch screen can be difficult without enabling Reachability. Out of all the iPhones currently on the market, the iPhone 6s Plus is the only one that offers optical image stabilization for video. Other than that, the only thing that really sets it apart from its smaller 6s counterpart is its size—oh, and the price. While owning a bigger iPhone can be a big draw, it’s going to cost you. The iPhone 6s Plus is $100 more expensive all around. You can purchase the iPhone 6s Plus directly from Apple here. Who it’s for: People who use their iPhones as a multimedia player, or for doing work-related tasks. If you own the biggest TV and the biggest computer monitor and never go to the movies unless it’s to see something on IMAX, the iPhone 6s Plus will be a big draw. The 4.7-inch iPhone 6s may be easier to grasp, in more ways then one. This iPhone is also top-of-the-line with the latest A9 chip, 3D Touch, faster Touch ID, Live Photos, 4K video recording, a 12-megapixel iSight camera, and a 5-megapixel front-facing camera. Basically, it has all the latest bells and whistles also found on the 6s Plus, except optical image stabilization, in a smaller frame. 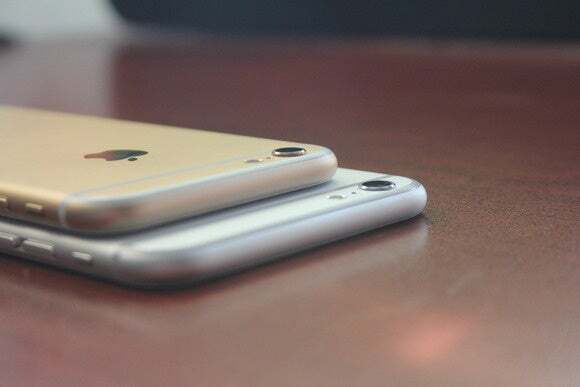 If the 6s Plus is too large and the iPhone SE is too small, the iPhone 6s may be just right. As the “medium” option in Apple’s small/medium/large sizing lineup, this device can be a great start when choosing a new iPhone. From here, you can see how you like the phone and better weigh your options of going bigger or going smaller (and cheaper). There’s a reason why the iPhone 6s sold four times as many units as its larger counterpart when the two first came out. You can purchase the iPhone 6s directly from Apple here. Who it’s for: People who use their iPhone for a variety of tasks besides general phone usage. The iPhone 6s is powerful but still portable, making it almost a default go-to for purchasing a new iPhone. The iPhone 6 and iPhone 6 Plus are not yet two years old, which make them still viable options when getting a new iPhone. Here is what you won’t get if you go for a 6-era iPhone: 3D Touch, Live Photos, and 4K video recording. Plus, the iSight camera is only 8-megapixels, while the front-facing camera is 1.2 megapixels. 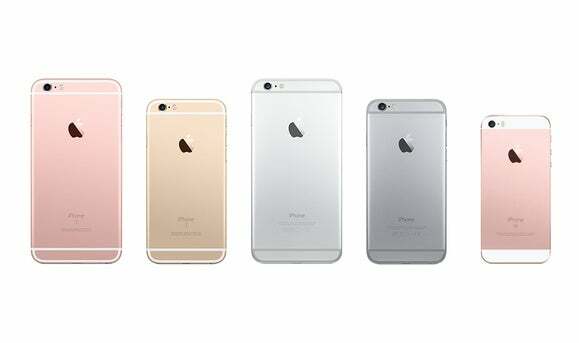 In addition, the iPhone 6 and 6 Plus is currently only available in two color options, Silver and Space Gray. And there is no 128GB model. That’s a lot of features and capabilities you’ll be missing out on, but if you didn’t care about any of that stuff to begin with, you might be in luck. You can buy an iPhone 6 for $100 less than the 6s. 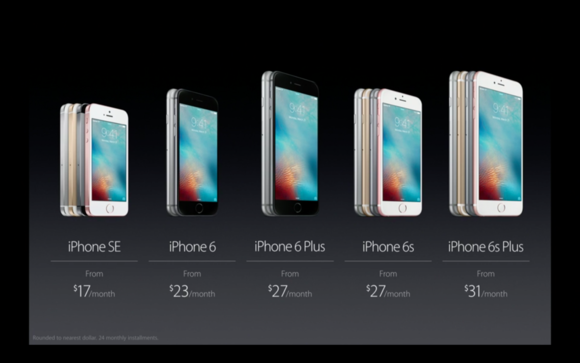 And the same discount goes for the 6 Plus. You can buy the iPhone 6 and 6 Plus directly from Apple here. Who it’s for: People who want a premium phone without the premium price tag. If you weren’t interested in the latest software – like 3D Touch or Live Photos – nor 128GB of storage space, the iPhone 6 or 6 Plus could save you $100. 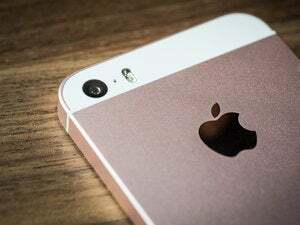 The newest member of the iPhone family, the 4-inch iPhone SE looks like a replica of the iPhone 5s on the outside, but it has most of the top-of-the-line iPhone features on the inside. The only thing you won’t be able to do is tap into 3D Touch and have the Display Zoom option, but otherwise the iPhone SE is as powerful as you would expect any Apple product to be in 2016. It sports the same Touch ID sensor as the iPhone 5s and 6/6 Plus, so it’s not quite as fast as what you’ll get on the 6s line. However, it has the latest A9 chip, a 12-megapixel iSight camera, Apple Pay support, and the ability to take Live Photos and record 4K video. All of that for about half the price. That’s right, the iPhone SE is the cheapest iPhone Apple has ever released, starting at $399. Unfortunately, this device does not qualify for the Apple Upgrade Program which is only for the 6s and 6s Plus, but you can get it under the Trade Up With Installments plan. You can pre-order your iPhone SE starting Thursday, and it will be shipped out on March 31. You can pre-order (and eventually buy) the iPhone SE directly from Apple here. Who it’s for: People who miss holding their iPhone 5s, but want the features of an iPhone 6s. If you don’t mind people thinking you’re still carrying around an iPhone from 2013, the iPhone SE was designed (and priced) for you. If you already have an iPhone 6 or 6 Plus, like its size, and are strongly considering upgrading to an iPhone 6s or 6s Plus, you should wait. If everything goes according to plan, we’ll be getting a brand-new iPhone 7 this fall. Rumors have already surfaced that the forthcoming iPhone 7 (and presumably the iPhone 7 Plus) will have stereo speakers, a dual-lens camera, and waterproof capabilities. 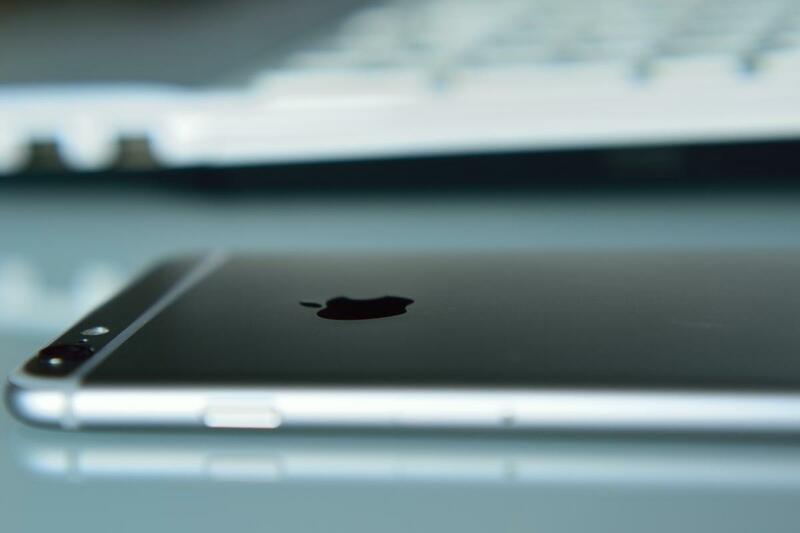 However, the iPhone 7 will allegedly not have a headphone jack. So if you have a lot of corded headphones, you might not want to wait after all.